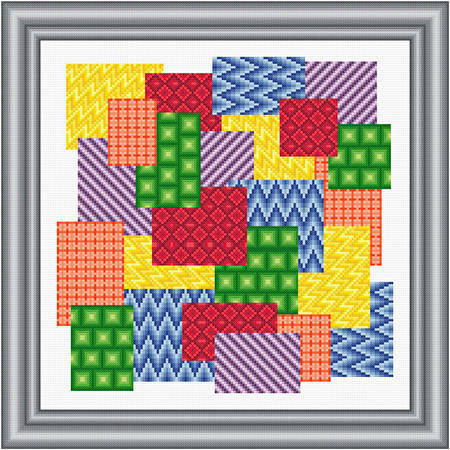 Swatches cross stitch pattern... Random placement of bright rainbow colors in shades and designs form blocks that are turned both vertical and horizontal. Colors may be changed. All whole stitches are used.